WOW! Incredibly humbled by our latest Zillow review! “I cannot say enough good things about Patrick Halpine and Nadia Patterson. My wife and I were referred to them by our realtor in Wisconsin and am we’re so thankful they were referred to us. I spoke to Patrick over the phone when we started our home buying process journey at the end of June 2018. After some quick introductions, he referred us to the preferred lender he utilizes. After compiling a lot of data, we began the pre-approval process. Once we were pre-approved, Patrick had MLS listings sent to our e-mail addresses the moment they were uploaded to the MLS database. We were essentially the very first individuals to see the listings. In a sellers market, it was imperative for us as buyers to get listings ASAP and the moment they were listed. Houses in the market right now are selling not in a matter of months, weeks or even days – most are actually selling in a matter of HOURS after hitting the market. Tough environment as a home buyer. My wife and I kept our composure and Patrick was reassuring throughout the process. After receiving a few MLS e-mails and driving by a couple of houses, we received a listing for a house we were interested in looking at. Patrick accommodated our work schedules and worked with us. We fell in love and put an offer in on the very first house we looked at after work. Despite it being after “normal” business hours, Patrick submitted the offer right away and the seller’s accepted. A mere three and a half weeks elapsed after putting in the offer. We received the keys last Friday and could not be happier with how smoothly the entire process went from start to finish. I don’t know how in the world the entire transaction could have possibly gone any smoother. No hiccups. No issues. No delays. Patrick e-mailed us whenever he said he would. He called whenever he said he was going to call. He kept in constant communication with us throughout the process. He did precisely what he said he was going to do, when he said he was going to do it. If that isn’t everything you want (and more) in a realtor, then I don’t know what is… he went above and beyond in every situation imaginable and always exceeded expectations. 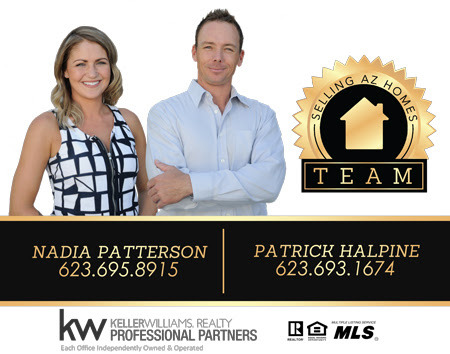 I would absolutely NOT hesitate at all to highly recommend Patrick and Nadia to all of my friends, family and pretty much the entire Zillow community.